B-52 Prodigy we offer you the lowest price. 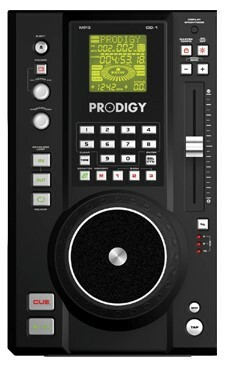 The PRODIGYFX was designed to revolutionize the DJ industry. We knew we created something special and are excited by its overwhelming success - including over 10,000 units sold and numerous award nominations. Since its introduction in 2007, our customers have been asking us for a more cost effective, yet professional system to serve the working DJ, who does not need all of the advanced features. We listened! How do we top the ProdigyFX? We don’t. 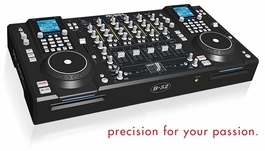 Introducing the PRODIGY - a professional, streamlined and affordable solution for the working DJ. 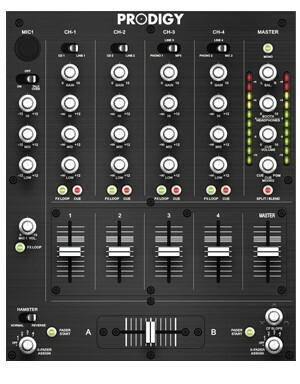 We removed a few features such as the digital effects, mic reverbs and the flight case but most importantly - still present are fast and reliable CD players with full MP3 capabilities and slot-in mechanisms, incredibly versatile 4-channel VCA mixer, touch sensitive (not pressure sensitive) jog wheels, fader start, IPR, seamless loop, master tempo, 2 mic inputs, independent CD direct outputs for use with all time coded systems and a crossfader curve control to name just a few of the units impressive features. Also gone is 33% of the price tag!